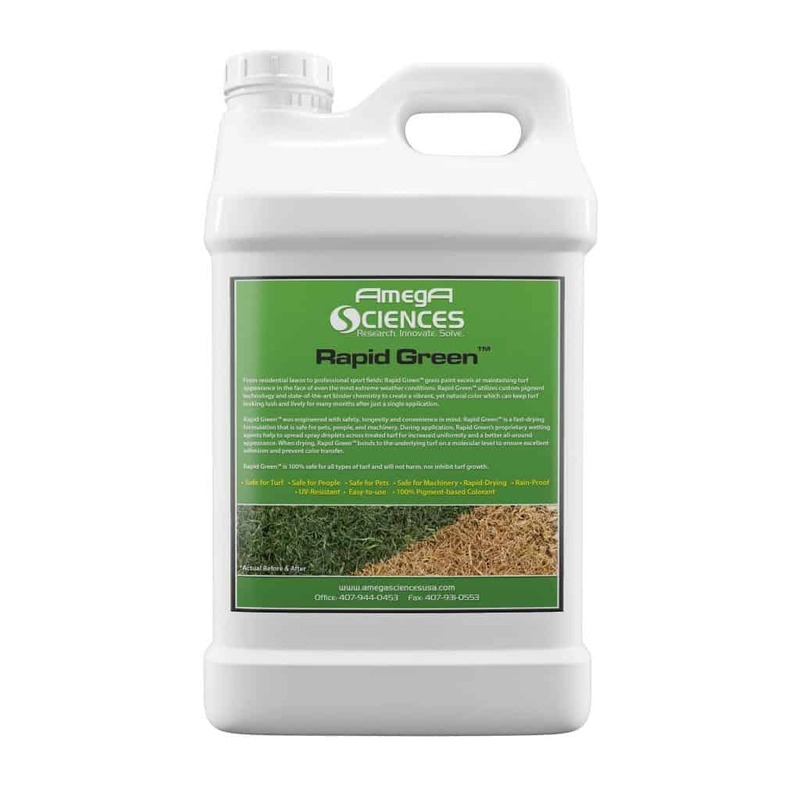 Rapid Green™ was engineered with safety, longevity and convenience in mind. Rapid Green™ is a fast-drying formulation that is safe for pets, people, and machinery. During application, Rapid Green’s proprietary wetting agents help to spread spray droplets across treated turf for increased uniformity and a better all-around appearance. When drying, Rapid Green™ bonds to the underlying turf on a molecular level to ensure excellent adhesion and prevent color transfer. Rapid Green™ is 100% safe for all types of turf and will not harm, nor inhibit turf growth. 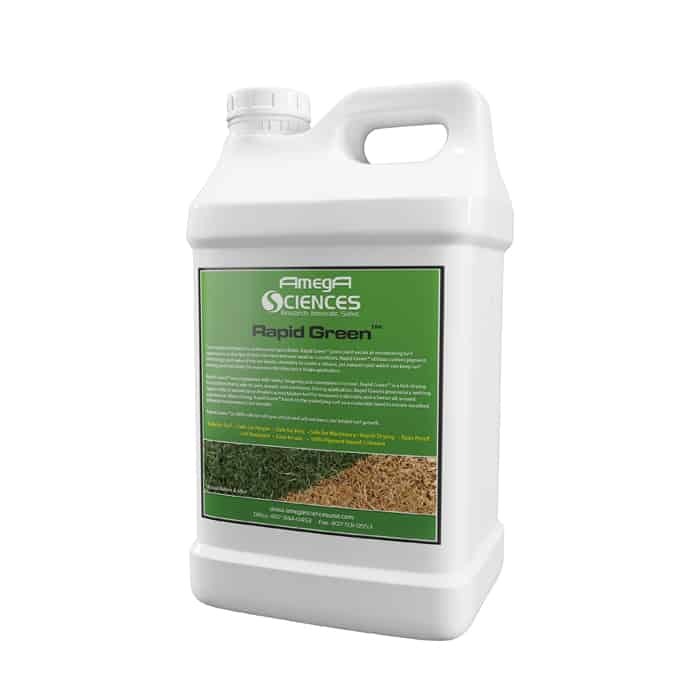 For touch-ups, or lightly faded grass, mix 1 part Rapid Green™ with 10 parts water. For dormant or dead grass, the dilution rate can be increased depending upon desired color. It is recommended to test a small area before moving onto larger applications to ensure desired results. Mask surrounding areas that are to be left untreated, and move nearby objects to avoid overspray. Wet any concrete in the immediate vicinity prior to application to avoid staining.